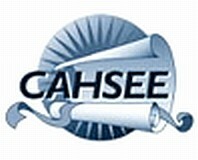 Good luck to Sophomores taking the “High School Exit Exam” (CAHSEE) on March 16th and March 17th. This should affect the schedules for Web Design and for Animation, but not for Keyboarding hopefully. Thanks for the kind words those of you who attended my CUE 2010 presentation on Open Source Animation. Attached, you will find a .ZIP file containing my first nine assignments in PDF format. These assignments use Pencil and Pivot (Stykz) about half the time and Adobe Flash CS4 the other half. Fell free to repurpose these and make these your own. This presentation discusses three open source animation titles; Pencil, Pivot, and Art Of Illusion. Together, these titles could be used as the basis of an animation unit or course. To all of my students. I will be attending TWO conferences this week. The first will be Tuesday (5th period only). I am going to the Perkins Grant Conference in Garden Grove. On Friday, I will be gone the entire day to the CUE Conference in Palm Springs, where I will be a presenter to a group of teachers. 5th Period: Please complete “Speed Building” Lesson #1.